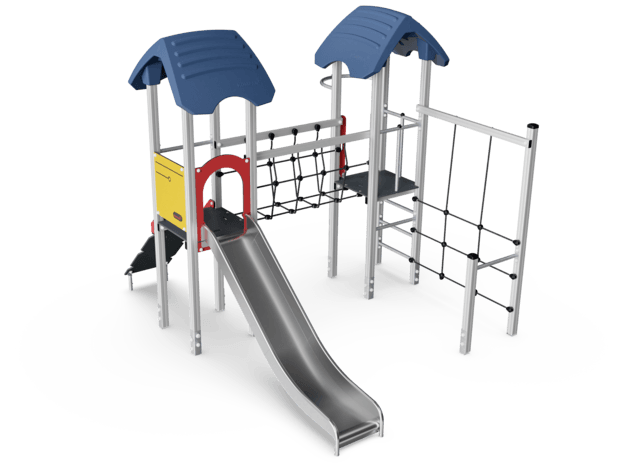 A variety of climbing and crawling activities are combined in this double play structure: an inclined climbing wall, sturdy steel rung ladder and a big meshed net that can be climbed through, which also allows room for a seated break. 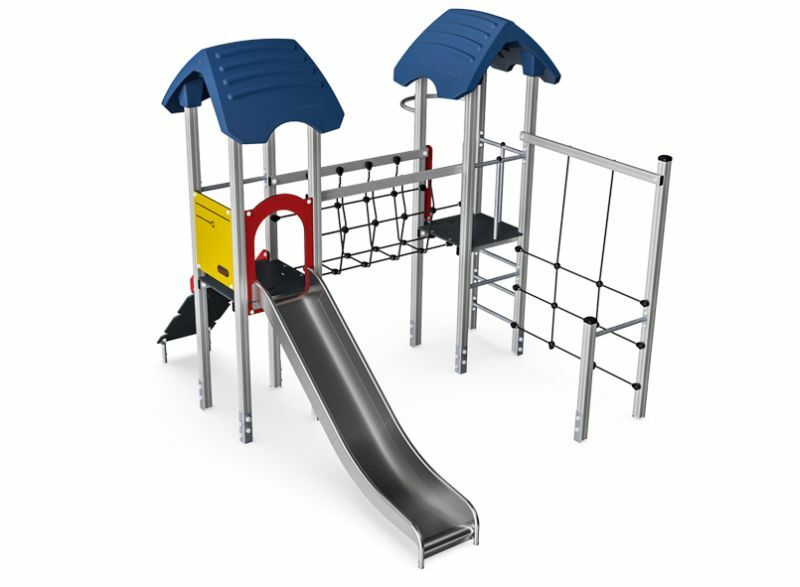 The two towers of the play structure are connected by an open, wobbly net bridge, which can be balanced over. 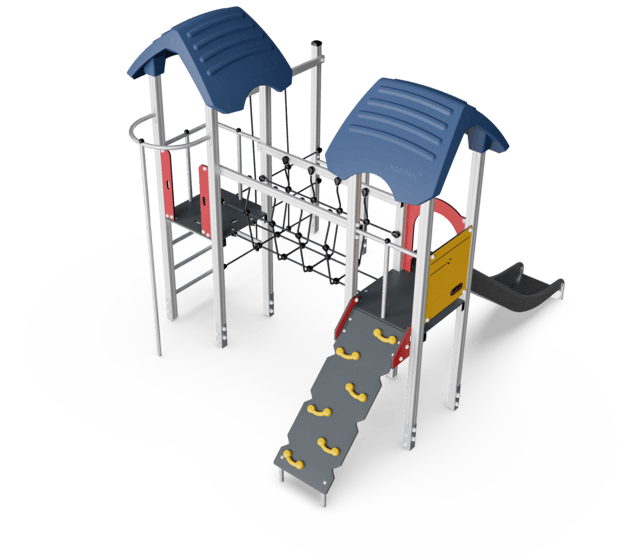 Once on the two platforms a fun exit is provided by the using the fireman’s pole or the slide.